Being great fans of Indian cuisine, we thought it about time we indulged our senses and voracious appetites with a visit to the local Indian restaurant, or rather should I say Tandoori restaurant, The Empress of India in Sittingbourne. 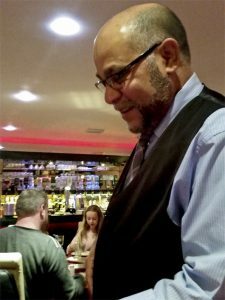 From the moment we walk through the door at this typical looking Indian restaurant, we are greeted with a friendly welcome and warm smiles. There is already a number of tables ‘chowing-down’ to a mid-week dinner, families, groups and couples alike, and all seem to be enjoying the experience. Since living in London in my 20’s when I first began my love affair with Indian cuisine, I have always felt that the décor of most Indian Restaurants is somehow dated, yet at the same time, there is something quite homely about that quality too! Empress of India is no different in that respect. Though it does have a modern feel to it, terracotta accents and lighting create a warm and inviting ambience in the room, which is on 2 levels. We are immediately seated at our table and given menu’s to peruse. Drinks are ordered – a Kingfisher beer is a must here! Then we take our time reviewing (and salivating) at the contents of the extensive menu. 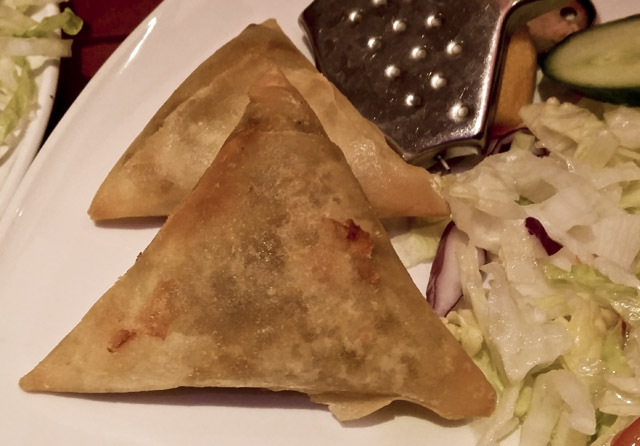 For starters, we order vegetable samosa and mixed kebab. And Chicken Dhansak, Special Lamb Dish (Bosses Special! ), Bombay Potatoes, Jeera Rice, and Pilau Rice for our main course… and a little Naan bread too! Service at The Empress is excellent. Very attentive staff who are happy to explain any dish on the menu, and who frequently check in to make sure you have everything you require. The presentation is also very good. Every dish that arrives at the table looks highly appetising. It’s clear that owner, Babul, a jovial and extremely friendly fellow, has trained his staff well and believes in high standards himself, clearly, he is proud of the domain he has created here in Sittingbourne. The gently spiced meat of the mixed kebab is absolutely delicious – the most tender chicken and lamb that simply make your mouth water, and a vegetable samosa that’s stuffed full of vegetables with a nice little spicy kick to it. 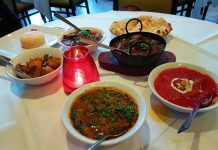 The Lamb Special, or as Babul calls it, ‘Bosses Special’, has to be the best recipe in the house – well maybe not but I think you’d find it hard to select a more tender and delicious dish on the menu here. Definitely a must for anyone who’s a fan of Lamb – it’s really quite exquisite! Chicken Dhansak is also highly flavorful with a good kick to it. Babul will make sure his Chef cooks your menu choices to your preference, so if you like it a little more spicy, just ask and he’ll be happy to oblige. The Jeera rice is particularly good, with its blend of coriander leaves, cumin and onions, it’s tasty enough to eat on its own, however, it is the perfect accompaniment to both dishes we choose too! Bombay Potatoes, what more can be said about these exquisite morsels of yumminess – they are cooked to perfection and it’s guaranteed that these will be ordered each and every time we return to The Empress! On a subsequent visit, our only complaint about this wonderful Indian restaurant is the King Prawn. We ordered the King Prawn Dhansak and the prawns were a little rubbery. Babul was quick to remove the dish and bring us a replacement one that had been freshly prepared by him. However, we still found the prawns quite tough and chewy. Could it be the type of prawn, or perhaps the way in which the prawns are cooked? 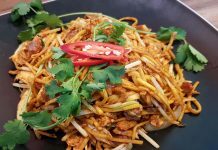 Don’t let this put you off, there are plenty of other delicious meat and vegetarian dishes from which to choose. 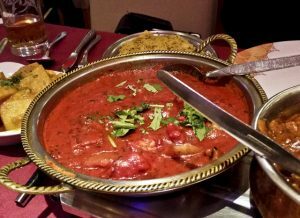 So the Empress of India in Sittingbourne gets a thumbs up from us. We’ll definitely be adding them to our list of ‘fab food locations in Kent’. Note that if you are planning dinner on Friday or Saturday evening then we recommend you make a reservation in advance, it does get pretty busy which is a good recommendation in itself. 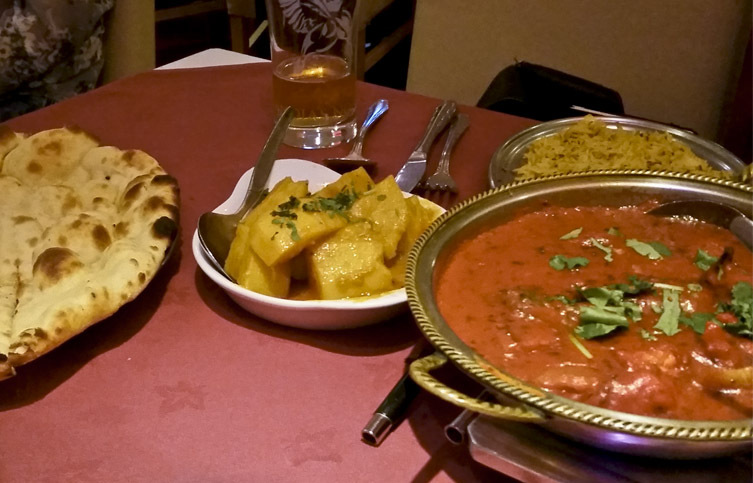 We look forward to more of the same delicious, aromatic and sublime cuisine next time we visit the Empress of India. All major credit cards accepted too! The Empress of India gets a thumbs up from us and serves a combination of mouth-watering Indian delicacies. However, the prawns always seem to be a little tough for our liking.